Sandra Oh wasn’t just Meredith Grey’s person. She was ours, too. And now, we’re finally getting a glimpse at how she’ll be returning to our living rooms — as a wannabe spy, not a doctor — in her new show. 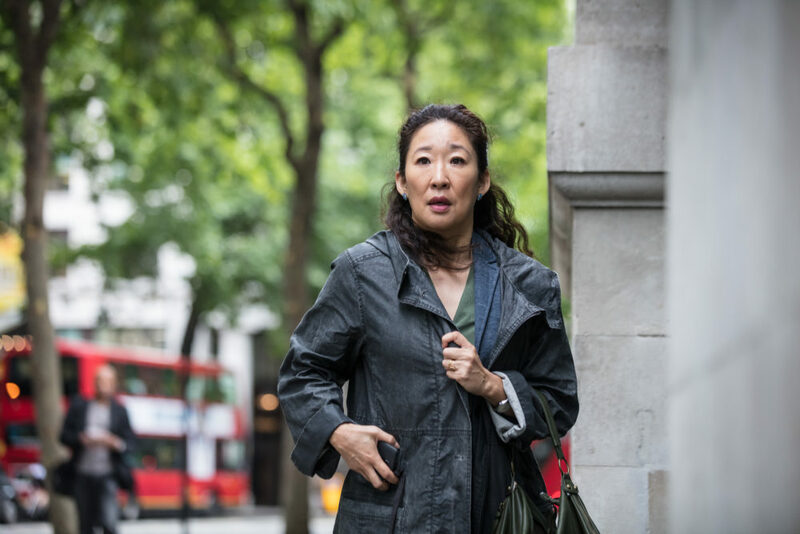 As we learned back in June, Sandra Oh’s starring in BBC’s Killing Eve, and judging by the just-released first look photos of the show, Sandra’s going to have us seriously stressed. Eve (Oh) is a low-level MI5 security agent who dreams of being a spy in the series, with The White Princess‘ Jodie Comer as Villanelle, an accomplished killer Eve will be up against. 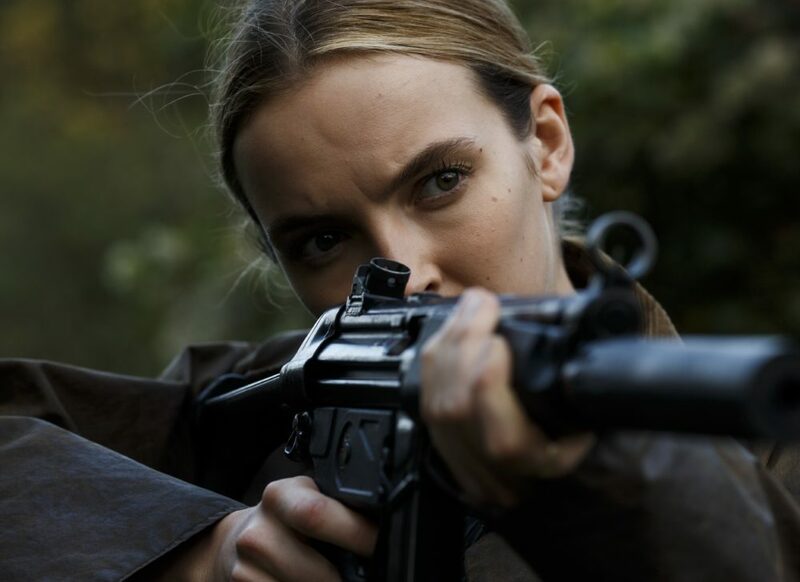 In the new photos, we see several images of Eve looking concerned, one of Comer as Villanelle holding a gun, and one particularly unsettling picture of Villanelle holding what looks like a knife to a terrified Eve’s throat. Thankfully, with Fleabag‘s Phoebe Waller-Bridge serving as the show’s writer, we expect there’ll be some humor in Killing Eve as well as high-stakes action. "I am quivering with excitement about working with Sandra!" Waller-Bridge told the BBC when the casting news was first announced. "I have been a huge fan of hers forever and am pinching myself that she is playing our Eve. She is going to be so badass in this role." Killing Eve is based on Luke Jennings’ novellas and will also feature Fiona Shaw (aka Aunt Petunia in the Harry Potter movies), David Haig, Sean Delaney, Kirby Howell-Baptiste, Kim Bodnia, and Owen McDonnell. While we’re still crossing our fingers that Oh will scrub back into a Grey’s Anatomy plotline one of these days (word on the street is she’s open to the possibility), we’ll take her starring as a badass in her own fierce, female-fronted spy thriller in the meantime. 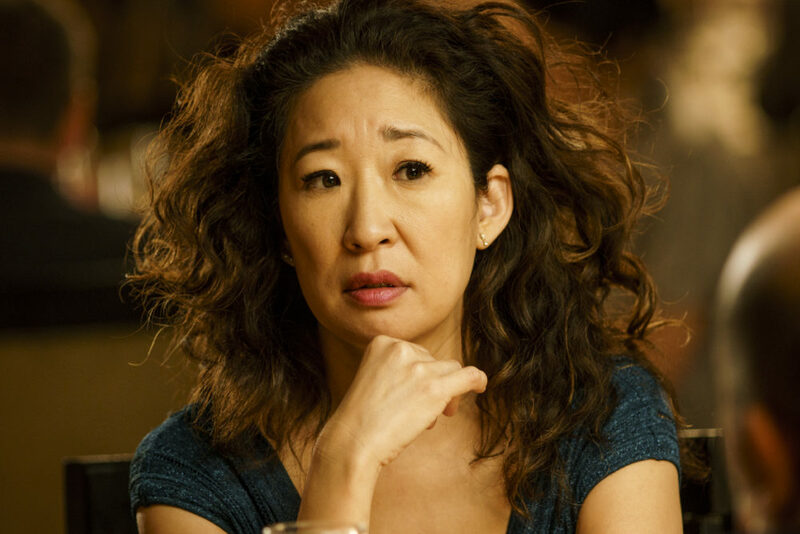 "In Killing Eve, a genius bunch of women behind and in front of the camera transcend the predictable with this funny and heart-stopping twisted cat and mouse thriller," BBC America president Sarah Barnett said in a press release. 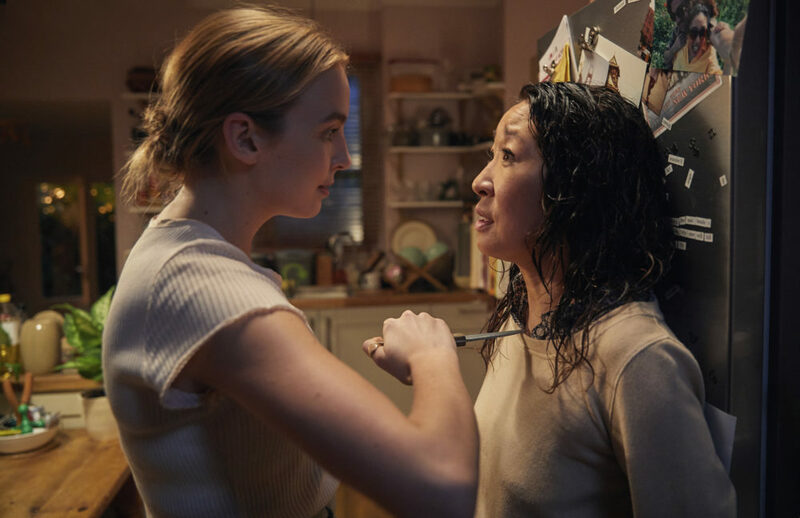 "From creator Phoebe Waller-Bridge — with remarkable performances from Sandra Oh and Jodie Comer — Killing Eve stands out in a sea of scripted stories as refreshingly entertaining and great fun." Killing Eve will premiere Sunday, April 8th.